from The Bread and Bread Machine Bible. For my son who simply love olives. I was away for more than 2 weeks from home. Towards mid week, my son returned from his friend's place and suddenly exclaimed: "I smell bread!" No, I didn't make bread. He went out again. The 2nd time he return, he exclaimed again: "I smell bread!". No. I didn't make bread today. You miss my bread? I asked him. And he shyly smiled and nodded his head. That's was nice. 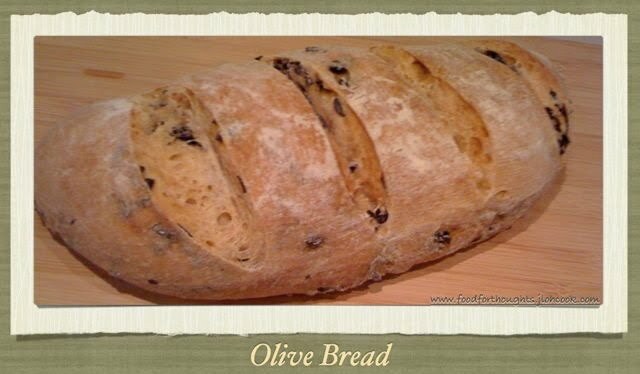 So I asked him what he wanted, and he said Olive Bread. As I didn't have olives, I attempted to make Jeffrey Hamelman's Baguette with Poolish. It didn't turn out as I expected, the bread was edible, just not baguette. But the smell of the bread was good. I just have to make the olive bread my son wanted. It took me the weekend to purchase some. It was Saturday evening, and I quickly put the ingredients together as per the book. I did this sometime back. See Olive Bread. 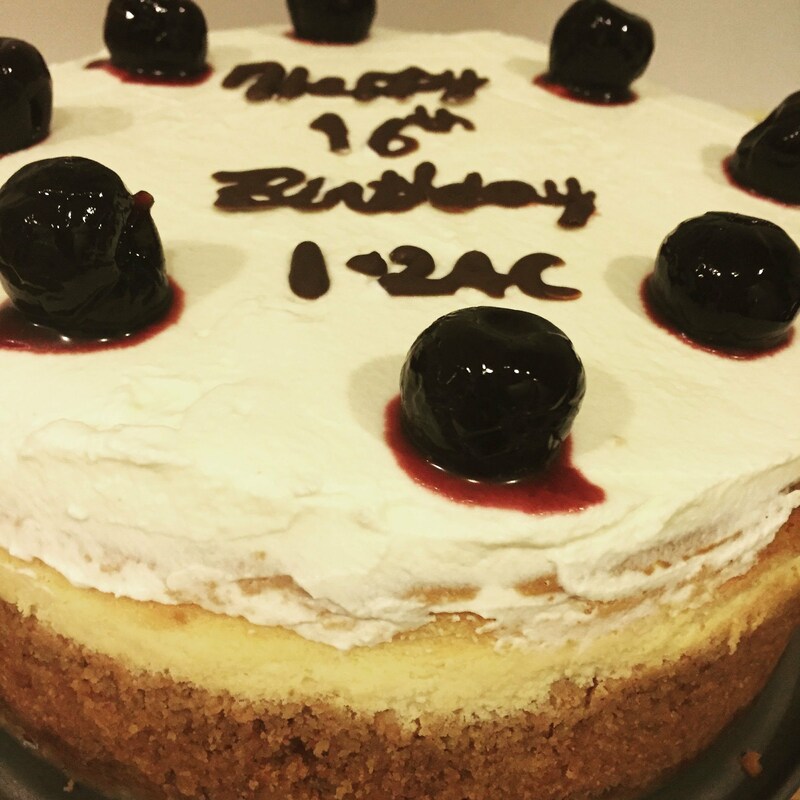 As we had to go out for dinner, I let it rise in the fridge for about 3 hours. The dough rose nicely. I shaped it into long loaf and put into my basket to proof As it was too late, I went to bed and left it in the fridge overnight to proof. I was still having jet lag, I guess. 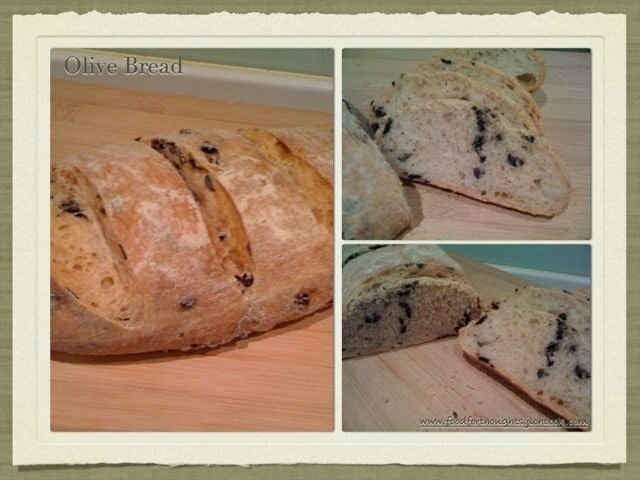 After 6 hours of sleep (I usually need at least 8 hours usually, and never waking up before 7am), I woke up thinking about my olive bread. Beautifully risen. I heat up the oven. As the oven was heating up, I made a coffee before I started scoring my bread. And I just bought a razor blade (which is not easy to find), and made scoring blade. It cuts nicely without dragging the dough. Brush generously with Olive Oil on the dough. Bake it at 200 degree celsius for 35 minutes. It looked a little fair, I pop into the oven again, and baked for another 10 minutes. The bread was very very soft on the inside, I need to change the brand of my olives as it didn't taste as good. By morning, 3/4 of the loaves were gone. I think my son ate 1/2.